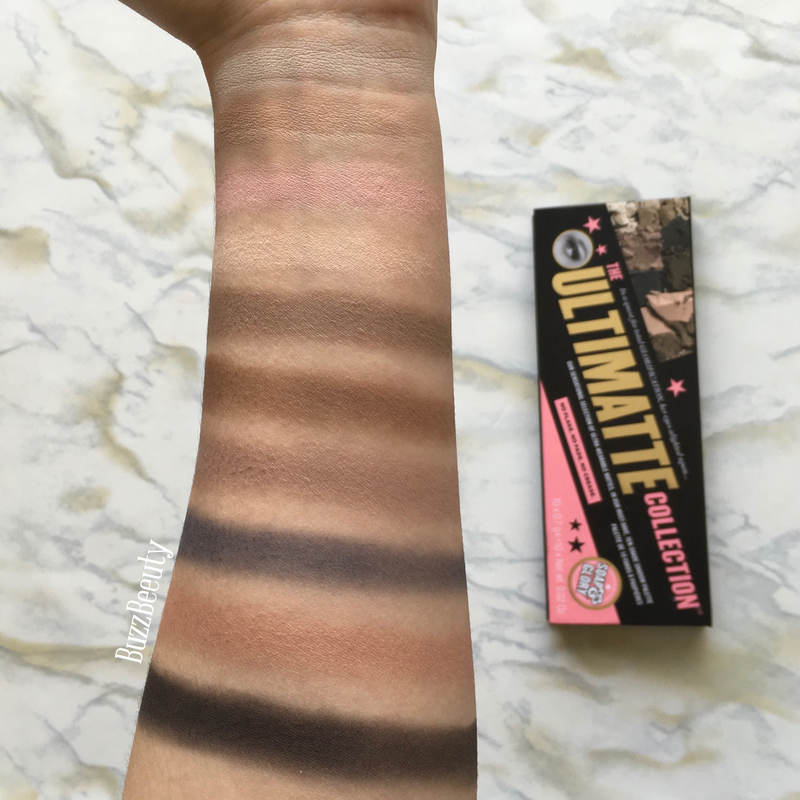 Soap & Glory’s The Ultimatte Eyeshadow Palette has a sensational selection of ultra-wearable matte eyeshadows. This must-have, 10 shade shadow palette is the ‘ultimatte’ in everyday peeper perfection. No flake. No fade. No crease. Matte Eyeshadow (Cat Got The…): Talc, Aluminum Starch Octenylsuccinate, Zea Mays (Corn) Starch, Mica, Dimethicone, Isononyl isononanoate, Cetearyl Ethylhexanoate, Zinc Stearate, C26-28 Alkyl Dimethicone, Potassium Sorbate, Chlorphenesin, PCA Dimethicone, Nylon-12, Dimethiconol, Trimethylsiloxysilicate, Tetrasodium EDTA, Octyldodecanol, Octyldodecyl Stearoyl Stearate, CI 77891 (Titanium Dioxide), CI 77492 (Iron Oxides), CI 77491 (Iron Oxides), CI 77499 (Iron Oxides). 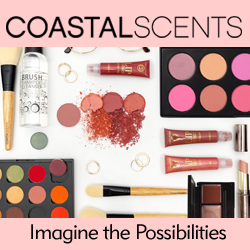 Other Matte Eyeshadows: Talc, Aluminum Starch Octenylsuccinate, Zea Mays (Corn) Starch, Mica, Dimethicone, Isononyl Isononanoate, Octyldodecyl Stearoyl Stearate, Zinc Stearate, Potassium Sorbate, PCA Dimethicone, Chlorphenesin, Dimethiconol, Nylon-12, Trimethylsiloxysilicate, Tetrasodium EDTA, Calcium Aluminium Borosilicate, Tin Oxide. May Contain: CI 77499 (Iron Oxides), CI 77007 (Ultramarines), CI 77491 (Iron Oxides), CI 77492 (Iron Oxides), CI 75470 (Carmine), CI 19140 (Yellow 5), CI 42090 (Blue 1), CI 77891 (Titanium Dioxide). This palette contains 10 all matte shades. Cat Got The… is a light, creamy vanilla. Take A Sand is a light, neutral sandy beige. Pink-tuitive is a light pink. Rudy Judy is a more warm toned cream color. Okey Cocoa is a cool toned medium brown. Conker All is a warm toned medium brown. Pebble Power is a neutral taupe. Stone Age is a dark navy blue. Mauve Over is a light warm toned dusty rose. Licqorice is a dark gray-black. These shadows are rather dusty and have quite a bit of fall out. They’re not a “buttery” formula, but I find that they blend beautifully on the eyes without getting muddy. They’re not super pigmented, but can be built up to a nice wash of color. I’m a sucker for cute packaging, and this one is no exception. The cover is eye-catching and fun. The palette itself is a cardboard material. It has magnets in both corners, keeping the palette shut. It gets dirty pretty quickly and shows any superficial wear and tear but overall seems pretty sturdy. The inside has a small mirror, which is a nice touch. However, it’s not big enough in my opinion to actually use. The shadow pans themselves are small, and if you’re not careful the shadows will get all over the cardboard and make it messy looking. Some of the pans are crooked which bothers me slightly, but not enough to make me depot the palette. The palette comes with a small double sided brush. As with most brushes in palettes, it’s not great. The only way I was able to use it was to apply the lighter colors all over my lids as a base color. It does nothing for the crease of packing on the color. It’s not terrible if you’re in a bind and have to use it, but I personally won’t be grabbing for it. On the back, there are photos of all the colors in the palette. They’re pretty accurate to the pan. You also get the list of ingredients which I love. These shadows aren’t the best mattes on the market, but I honestly don’t think they’re bad. This palette is definitely not going to work for all skin tones. I’d say if you’re even a medium skin tone, this won’t work for you. But if you’re fair skinned, these are really pretty base and transition colors. They’re not super pigmented right off the bat, but can be build up a bit. They’re definitely not going to be super pigmented, so keep that in mind. This palette won’t really work on it’s own, unless you’re into super subtle eyelooks. I do think it pairs really nice with other palettes and single shadows. I’ve been using it for transition shades with my Colourpop single shadows and Super Shock Shadows and I’ve been happy with it. I don’t love every single color, but I enjoy Take A Sand (base color for my transition shade), Okey Cocoa, Conker All, and Mauve Over. I’d say this palette isn’t a must, especially if you have matte shadows/palettes you reach for often. But if you don’t have a huge collection or just want a grab-and-go subtle palette this could work for you. I’d recommend this for makeup beginners, those who like n0 makeup makeup looks, or those who don’t mind building up color. So, is this palette worth it? I think it’s decent, but the price point is way too high in my opinion. For $20, you can get better quality shadows. With that being said, I would say if you can get it on sale and use some coupons, it’s worth checking out if it catches your eye and you keep my above statements in mind! Let me know your thoughts! 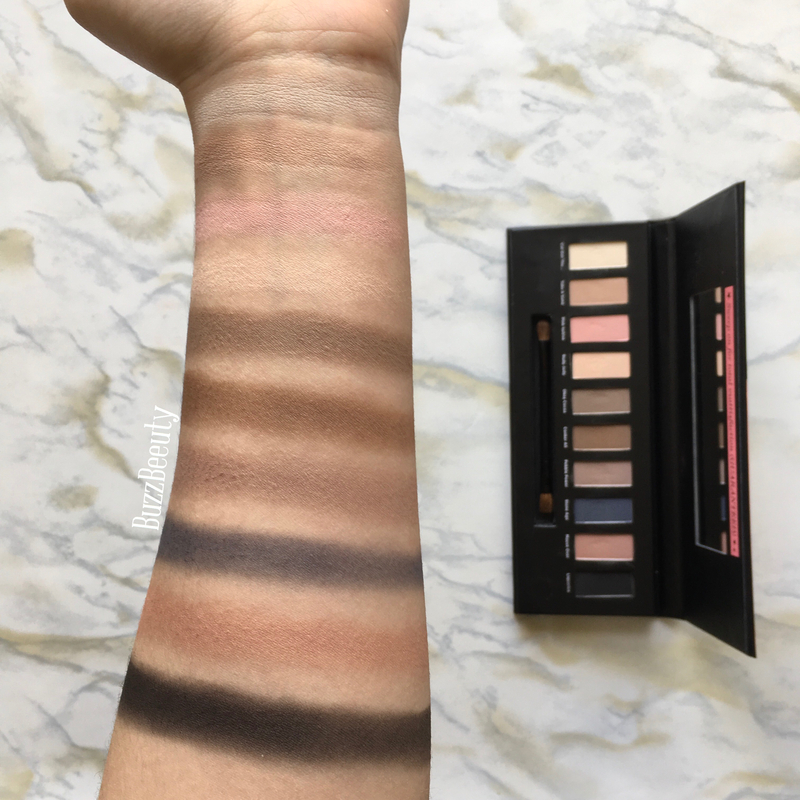 Is this a palette you’d buy? Have you tried it already?